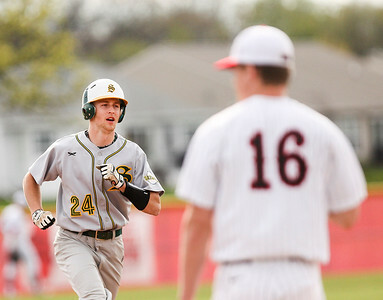 Sarah Nader- snader@shawmedia.com Crystal Lake South's Nicholas Wolski runs home after hitting a home run during Tuesday's game against Huntley May 3, 2016. 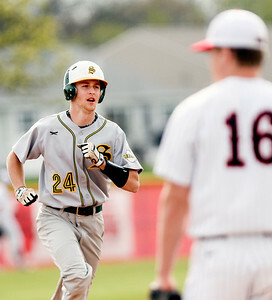 The game was called in the top seventh inning after Huntley pitcher Cole Raines was struck by a line drive in the head. 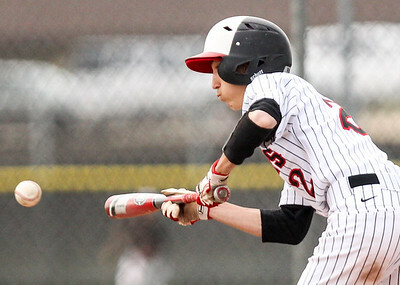 Sarah Nader- snader@shawmedia.com Huntley's Nicholas Laxner pitches during Tuesday's game against Crystal Lake South May 3, 2016. 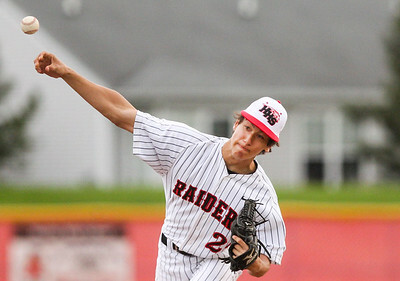 The game was called in the top seventh inning after Huntley pitcher Cole Raines was struck by a line drive in the head. Sarah Nader- snader@shawmedia.com Huntley's Charlie Nugent dives for the ball during Tuesday's game against Crystal Lake South May 3, 2016. 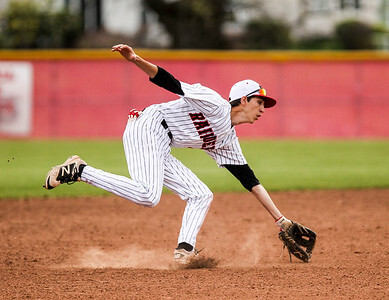 The game was called in the top seventh inning after Huntley pitcher Cole Raines was struck by a line drive in the head. Sarah Nader- snader@shawmedia.com Huntley's Charlie Nugent bunts the ball during Tuesday's game against Crystal Lake South May 3, 2016. The game was called in the top seventh inning after Huntley pitcher Cole Raines was struck by a line drive in the head. 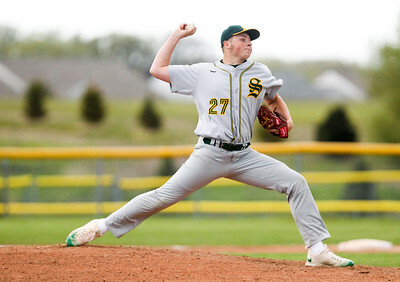 Sarah Nader- snader@shawmedia.com Crystal Lake South's Michael Lukas Dunham pitches during Tuesday's game against Huntley May 3, 2016. The game was called in the top seventh inning after Huntley pitcher Cole Raines was struck by a line drive in the head. 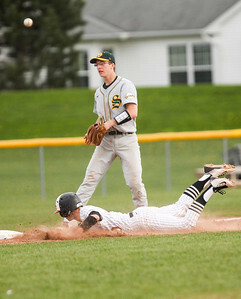 Sarah Nader- snader@shawmedia.com Huntley's Michael Humphrey safely steals to third while Crystal Lake South's Eric Maurer waits for the ball during Tuesday's game in Huntley May 3, 2016. The game was called in the top seventh inning after Huntley pitcher Cole Raines was struck by a line drive in the head. Sarah Nader- snader@shawmedia.com Crystal Lake South's Nicholas Wolski hits a home run during Tuesday's game against Huntley May 3, 2016. The game was called in the top seventh inning after Huntley pitcher Cole Raines was struck by a line drive in the head. 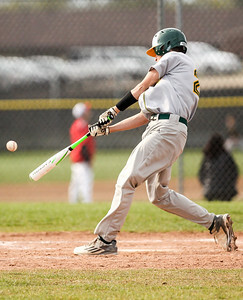 Crystal Lake South's Nicholas Wolski hits a home run during Tuesday's game against Huntley May 3, 2016. The game was called in the top seventh inning after Huntley pitcher Cole Raines was struck by a line drive in the head.